Kinder Ice Cream Sandwich 60ml - two delicious biscuits with Kinder milk ice cream between. 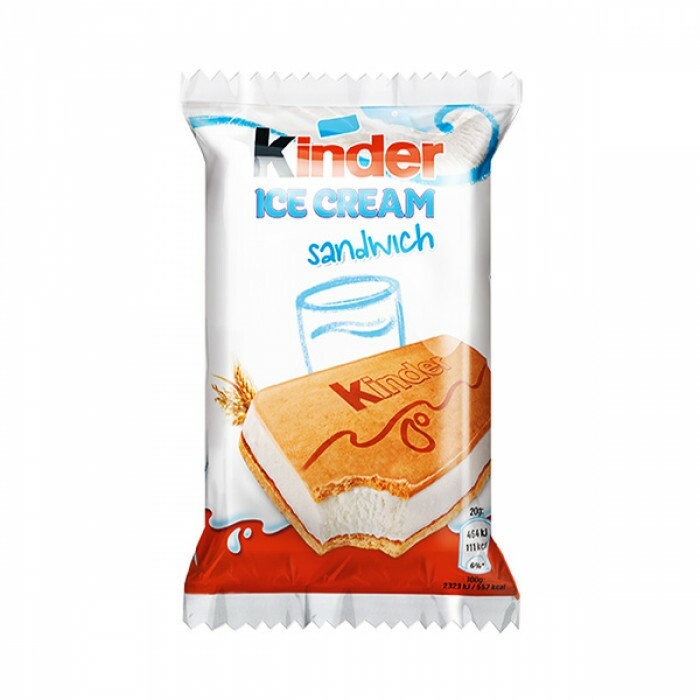 KINDER ICE CREAMS - discover the special ice cream range, dedicated to Kids! 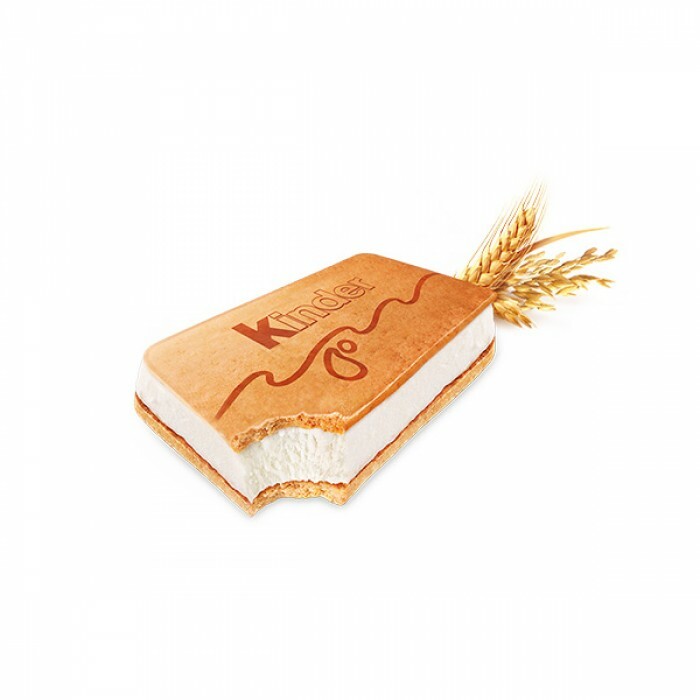 Pasteurized whole MILK, WHEAT flour (22%), reconstituted skimmed MILK, sugar, glucose syrup, coconut oil, glucose fructose syrup, milled cereal flakes mix (2.7%) (rice, OAT, WHEAT, BARLEY, RYE), fructose, CREAM, invert sugar syrup, BUTTER-OIL, whole MILK powder, skimmed MILK powder or concentrate, raising agents (ammonium bicarbonate, sodium bicarbonate), emulsifier (mono/diglycerides of fatty acids), flavoring, stabilizer (sodium alginate), salt, skimmed MILK powder, fat reduced cocoa powder. May contain: nuts, soy, egg.